"need to step up their game"
✅ Trip Verified | Colombo to Singapore. The check in at Colombo was extremely pleasant and the agent went above and beyond to ensure I had the seats I wanted, however this was the end of anything good about Silk Air. I found the crew to be robotic, unfriendly and rude. Meal service is mediocre. The worst part about Silk Air is that there is no entertainment, besides the app. Silk Air has disappointed me in the past but this trip with them is my final one. The cabin ambiance is depressing and they need to step up their game. 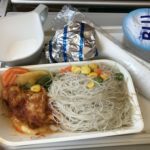 ✅ Trip Verified | Singapore to Kota Kinabalu, my first experience of the SilkAir B737-800 product. Boarding was by zone number, and uncomplicated. I had the luxury of an empty seat next to me, so that made a difference when I took my seat. First impression was of fairly simple but clean-looking cabin environment. Seat backs were sculpted plastic and very basic, with only the tray table and a deep plastic pocket to lose your belongings in. 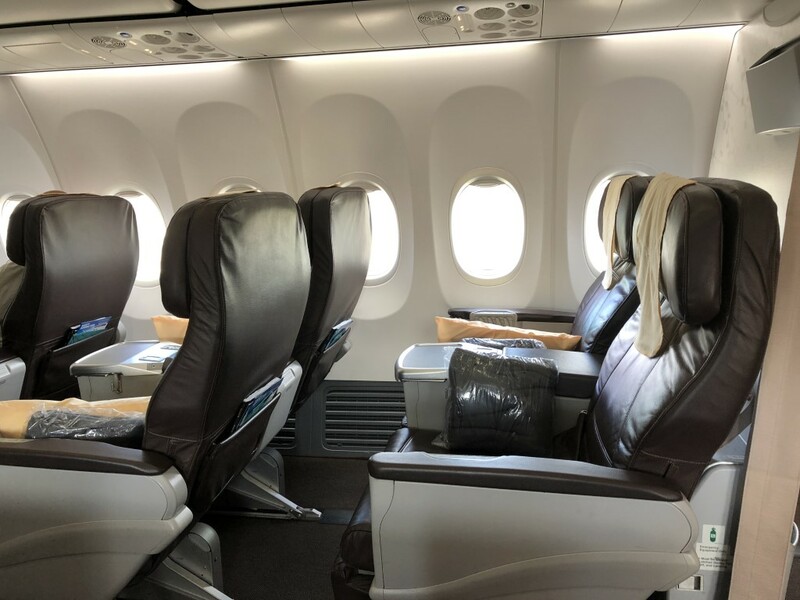 The B737 always strikes me as a rather more cramped cabin than the A320; and so it turned out when checking Seatguru, with 1 inch less pitch and seat width than the A320. 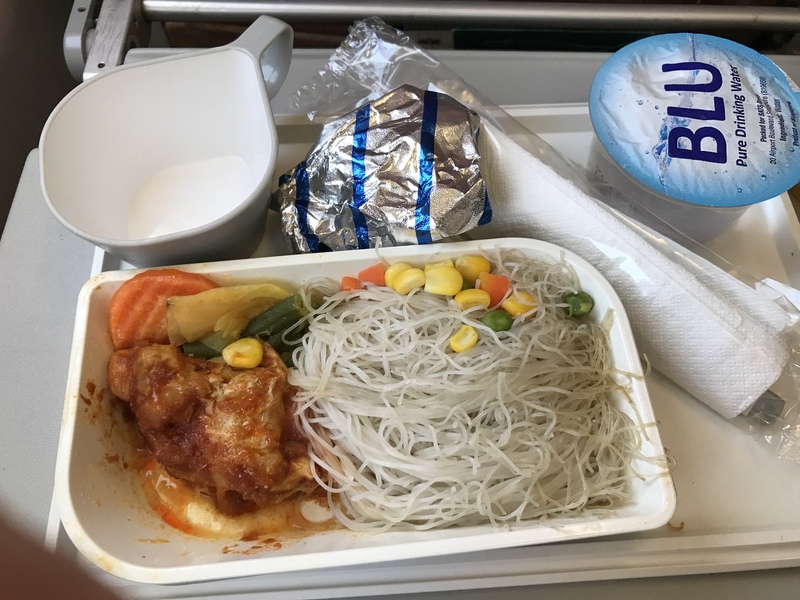 We were given cool towelettes and offered newspapers before takeoff, and a hot meal appeared (chicken spaghetti, which proved a bit difficult to eat for obvious reasons). Entertainment is available by the SilkAir Studio, and the choice of music proved disappointingly poor, although more movies appeared available. Service was generally friendly and efficient, and we landed feeling at least half human. ✅ Trip Verified | Myself and my husband booked a flight from Singapore to Cairns. We believed that we were flying with Singapore Airlines (the price reflected this). Then we got on the plane and there was no onboard entertainment. Let me clarify. There were a couple of screens throughout the plane with Asian entertainment. No headsets were offered. The cabin crew were not accommodating and when asked for a drink (Diet Coke) I was made to feel like this was an imposition. Further to this they returned with a cup. Not even a can. The first offer of a drink other than an orange juice or water was at least 4 hours into the flight. I would not recommend this airline. I am disappointed as I have travelled with this airline multiple times and always had a great experience. "nothing has changed in 5 months"
✅ Trip Verified | Flew with Silk Air to Colombo from Singapore for the second time this year and nothing has changed in 5 months. The food is palatable but insufficient and nothing exceptional. Aircraft mainainance is practically non existent. 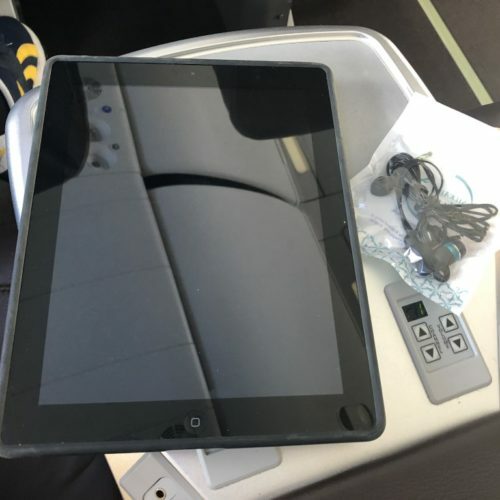 There is no inflight entertainment except that you can purchase the Silk Air studio app and watch a limited range of a fairly pathetic selection of movies. The flight crew however are very friendly and can be chatted with easily. 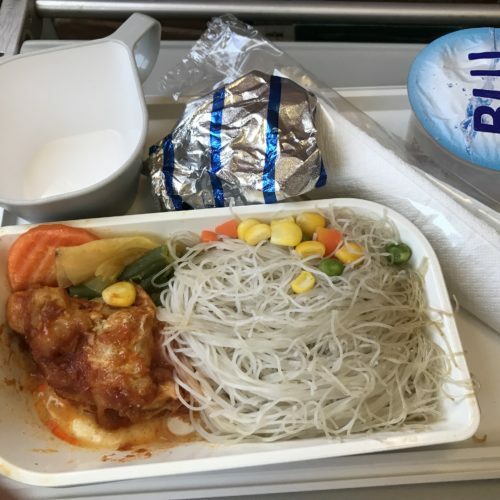 In short, Silk Air should not charge its premium fare because it is practically a budget airline with free meals and marginally better legroom. In conclusion a dissapointing experience and forgettable to say the least. "we would fly with them again"
Not Verified | We flew SilkAir from Singapore to Kuala Lumpur on May 7th. Newspaper given on aircraft, comfortable seats for my wife and I near wing. Attentive crew, refreshing towels handed out. A short flight, nearing Kuala Lumpur we struck turbulance causing the plane to drop slightly. The flight attendants immediately sat in seats in front of us, staying there until we landed No announcement from flight deck. 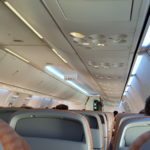 Overall a great flight, clean plane, good service, Our return flight to Singapore was on May 16th. Once again a good flight, short, no complaints We enjoyed this airline, and we would fly with them again. "it was a pleasant flight"
Not Verified | Singapore to Luang Prabang. Legroom is ok for this aircraft, however taller people will have slight difficulty. But is was understandable for A320 economy seats. Crew were attentive. Meal serving was sufficient for this route. A hot meal, followed by ice cream as dessert. Pea snacks before landing. There’s no personal screen, and you have to use your own tablets or phone. Entertainment selection on SilkAir studio was limited and not latest, however good enough to keep you occupied throughout the flight. For Apple user, remember to download their app first before boarding to enjoy the entertainment. 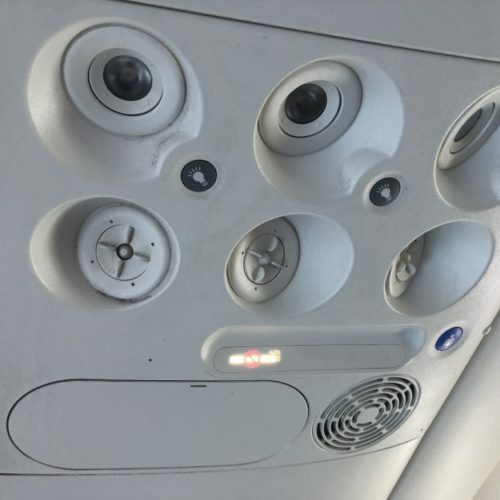 Overall, it was a pleasant flight, given the amount you paid for. ✅ Trip Verified | Penang to Singapore. I was arriving to Singapore on the delayed MI349 on last Saturday (12-May-2018). I always trust SIA would handle my baggage properly as compared to other airlines. While getting my luggage covered with luggage cover, and with my trust with SIA companies, I did not check my baggage when I was still inside the airport. I took a Grab home, took my dinner before I was to unpack my stuffs. I got terribly shocked to look at how my luggage was broken. When I opened the cover, it is all cracked inside from the adjustable handler until down 30% of my luggage. I did not place much stuffs inside my luggage, but spare luggage and clothes. I contacted the customer service through the online form provided on the same night, and followed up again on 16-May-2018 (Wednesday), no news from SilkAir at all! I have tried to call SilkAir, but keep getting the wrong information online. It is one week since I last arrived and complained now. Still no sign of following up. The fare is not justifying on what we can get. ✅ Trip Verified | Penang to Singapore. So disappointed for Silkair, as it's slogan "Joy to fly", but I do not agree to that. This is mainly because the cabin crew are not nice, it doesn't deserve as a best regional airline. Penang is one of the most important route for Silkair, however, the ground service only open 2 hours before the fight, the staff open the counter 10mins later and the staff work slowly, I am Silver elite for Singapore Airline and already web check in, but the staff use more than 10 mins to handle my luggage and give me the passport. For the food, only provide a sandwich. I take AirAsia from SIN to Penang, the experience is much better even it's low cost airline. ✅ Trip Verified | Singapore to Manado. Both flights are on reasonably new Boeing 737-800. Crews are great and nothing is too troublesome for them. 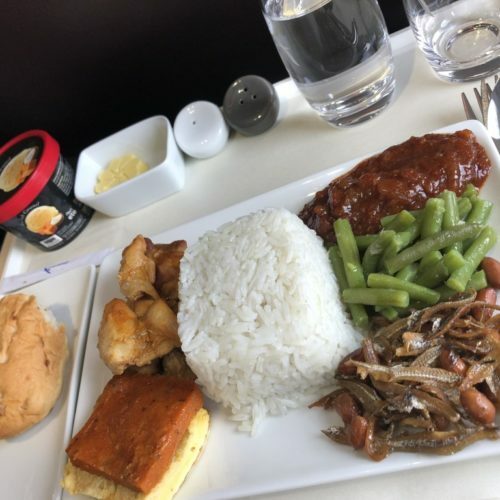 I ordered the meals from “All-time favorite” menu in advance and are very satisfied with quality and quantity on both flight. Toilet are kept clean and dry at all time and I believe that it was clean after every usage. Lounge in Manado has changed to Concordia lounge which is fantastic comparing to Bunaken lounge in my previous journey. Outgoing flight show quiet comedy on the screen, while the returning flight provide iPad to everyone as they want to keep cabin dark for passengers who choose to sleep. 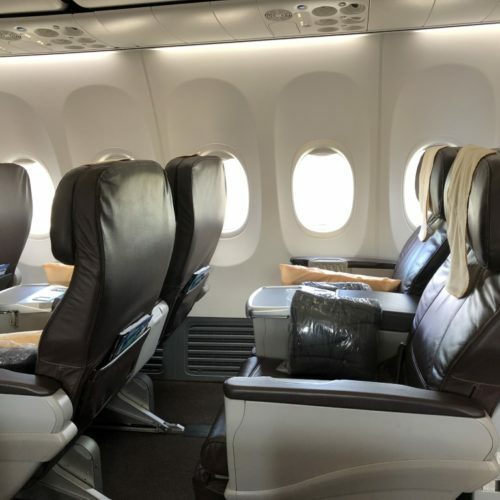 Some negative point is that seat in the 737 seemed to have less seat pitch, less recline and less comfortable than their A320 fleet, and the aircraft of my returning flight is not properly cleaned. There are a lot of black dust on air condition vent, crevices and even on overhead monitor. 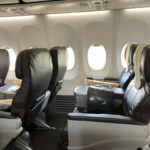 "Budget airline service for premium airline price"
✅ Trip Verified | Flew Kathmandu to Singapore. Budget airline service for premium airline price. 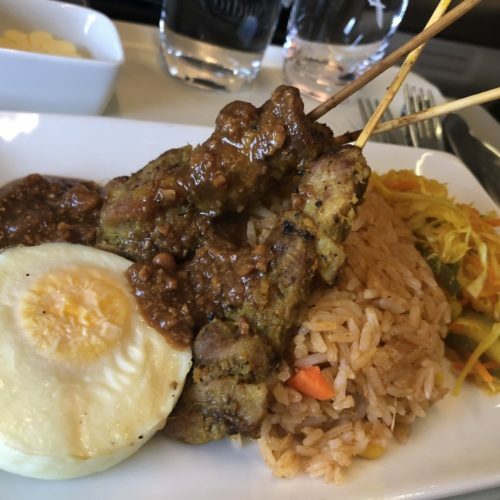 As part of Singapore Airlines you pay full SQ price but get nothing like the service. No PEV - download and use their garbage application which simply didn’t work. To be honest I would fly Thai Airlways via BKK. It might be longer in terms of time, however it’s far more comfortable than being crammed into Silk Air. 5 hours on Silk Air passes very slowly indeed. As Krisflyer Gold I would chose Thai Air and Malaysia Airlines over this lot.